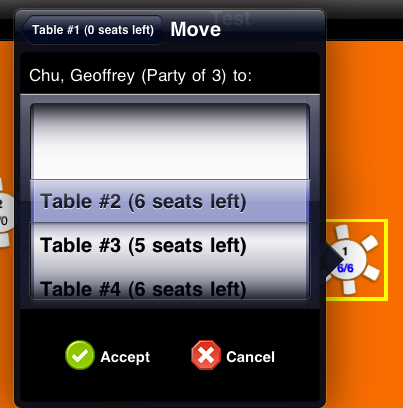 The new version 1.71 includes a new Screen that let guests input their names and find their tables. 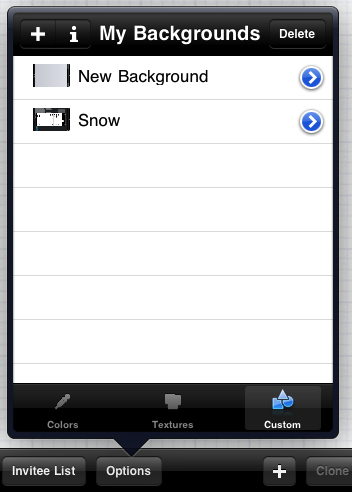 When they tap on their names, a picture of the layout will give them a visual reference of the place. This window will not have a close button -you will have to tap myBanquet's logo twice to close the window- to try to stop Guests from playing Angry Birds. 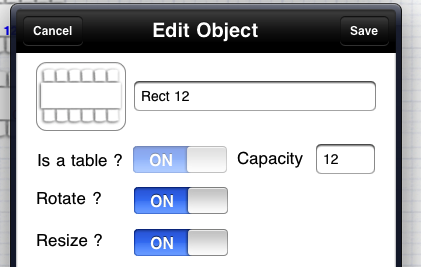 However, we cannot block the iPad's multitasking or Home button. 1. 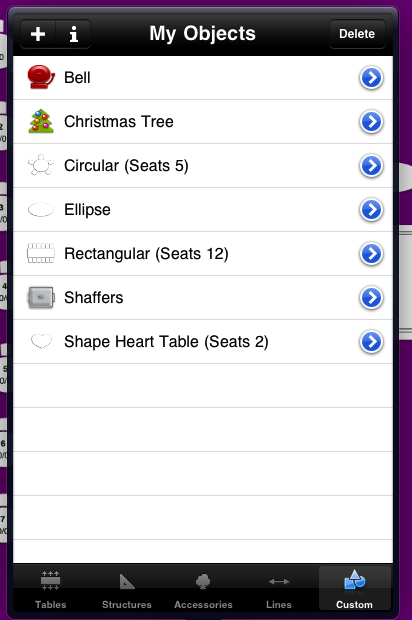 The Tables will now indicate how many seats are left. 2. You can add comments/notes by guest. 3. You can add/remove companions by guest. 4. 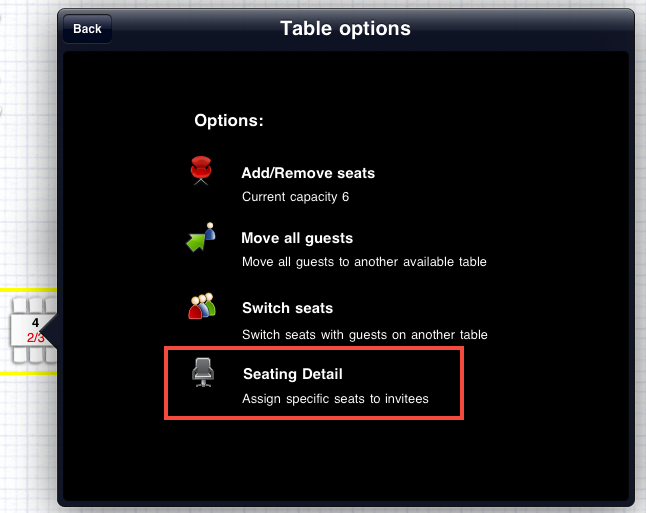 Option to move guests to another table. 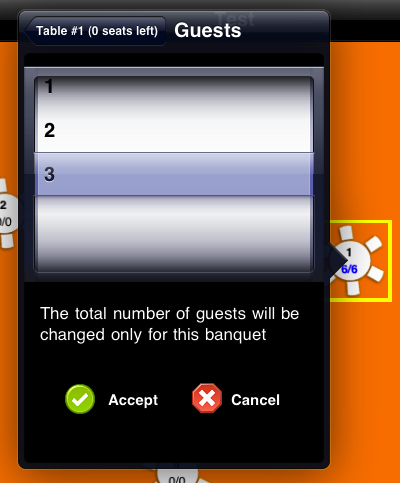 If you tap on the invitee name, you can increase or decrease the total number of guests. 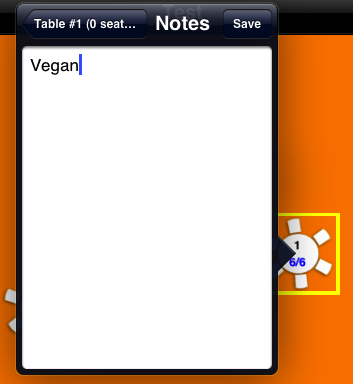 The App will detect how many seats are left on the table so you don't exceed its limit. 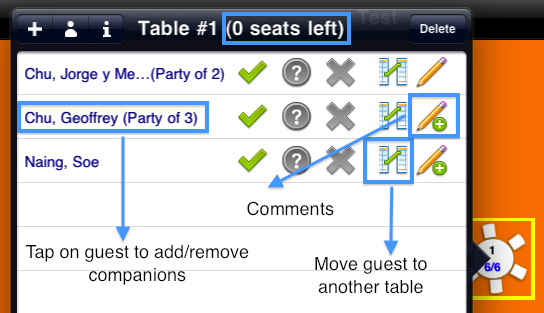 You can now quickly move the guest to another table. 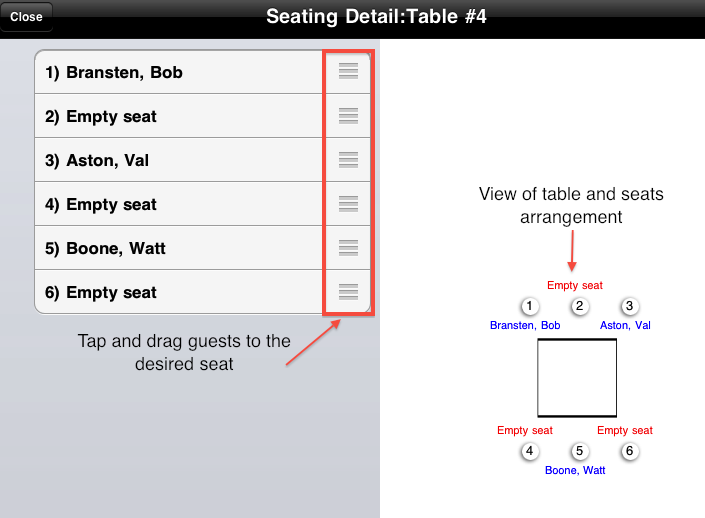 The App will detect which tables have enough seats to accommodate them. 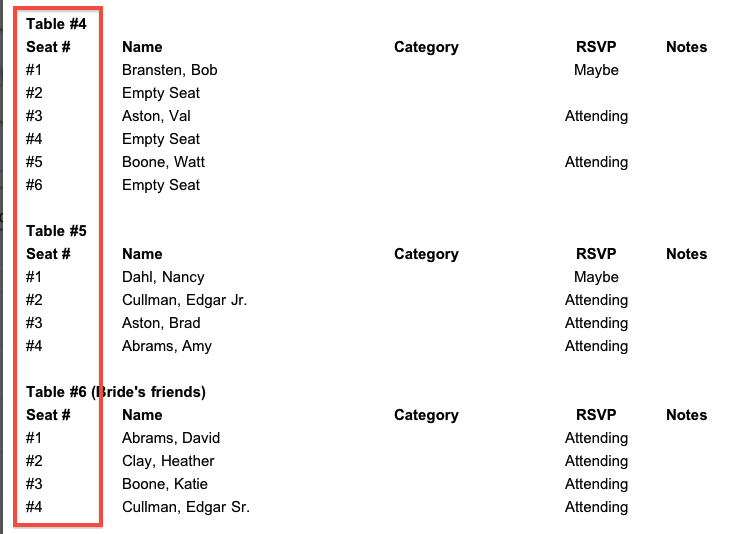 You can also add comments to each guest. These comments will be included in the reports. Great for specific meal requirements. 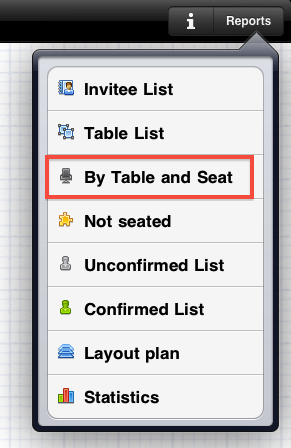 We are also adding some extra colors to the labels to indicate which tables have seats left and which ones are all booked. and there are many more options coming...!